India has come in for criticism over its response to events in the Maldives. There are reasons it didn’t intervene. Spin doctors in the Indian foreign policy establishment are working overtime to defend India’s policy toward the Maldives as it faces questions galore about what New Delhi has – and more importantly hasn’t – done for Male in the worst political crisis the Indian Ocean island state has faced in decades. The issue at stake is whether India lost out on an opportunity to demonstrate its big power status by preventing regime change in its backyard. First, Indian officials categorically rejected claims made by ousted President Mohamed Nasheed and his spokesmen that Nasheed sent out an SOS to New Delhi asking India to intervene militarily on behalf of his beleaguered government. India is looking at the current political crisis in Maldives as an internal matter, and made clear that it won’t intervene militarily, although its armed forces are said to be ready with a contingency plan. However, key Indian officials have said this contingency plan is meant for evacuation and humanitarian purposes, not for military intervention, although the Indian Air Force is on standby. 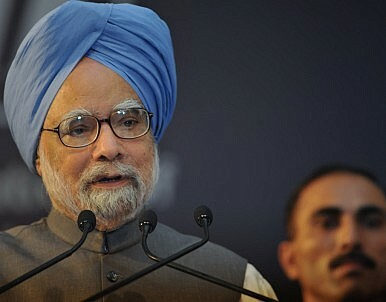 Under the guidance of Prime Minister Manmohan Singh, India has stepped up its diplomatic efforts with the Maldives and dispatched a top diplomat M. Ganapathy, Secretary (West) in the External Affairs Ministry, to Male as a special envoy, while the Indian ambassador in Male is planning an all-party meet in the country. India has made it sufficiently clear to the Maldives and to the international community that it sees no justification in repeating Operation Cactus, from back in 1988, when India sent a small military contingent to the Maldives to liberate Male from a band of PLOTE rebels from Sri Lanka who had seized power for a few hours. The Indian rationale is that the 1988 coup was externally generated, whereas this time the political crisis has been precipitated by Maldivians themselves. However, the stated Indian position conceals much, not least the drastically changed geopolitical situation. China has made huge strategic investments in the Maldives, much to the chagrin of the Indians. It seems unlikely Beijing would be happy with India flexing its military muscle in the region again. Relations have become strained after the Maldives government cancelled a valuable contract. Former Maldives President ArrestedWith Eye on China, India Embraces MaldivesIndia Feels Maldives TremorsIndia’s Maldives ProblemCoup in the Maldives?